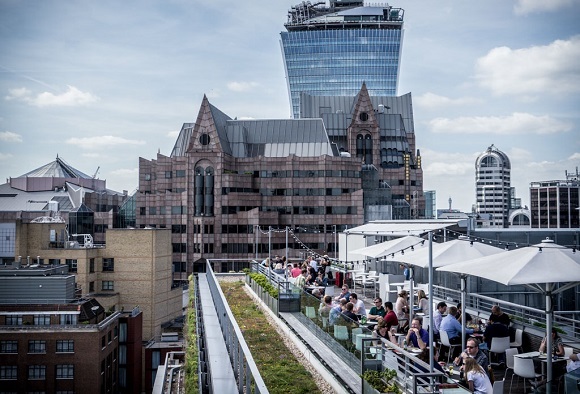 This week we continue our journey to the world’s best rooftop bars, this time heading to the English capital city. Throughout the year, Londoners flock to outdoor terraces and leafy havens to escape the hectic pace of city life. 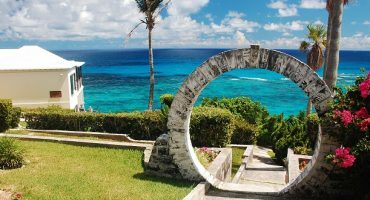 These are the best places to relax and enjoy the atmosphere. 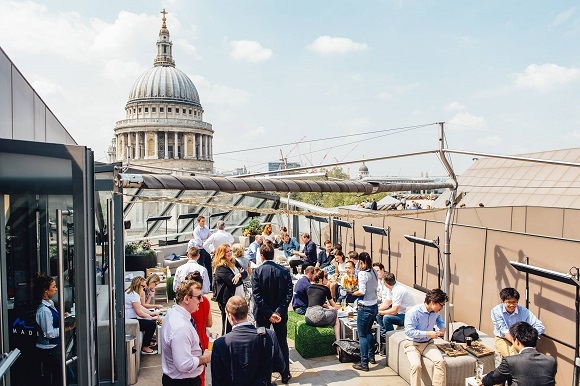 Thanks to the ever temperamental British weather, London’s rooftop bars and terraces are prepared for all eventualities and as a result, many stay open across all seasons. From summer sun traps to cozy terraces with open fires, from sophisticated bars (with prices to match!) 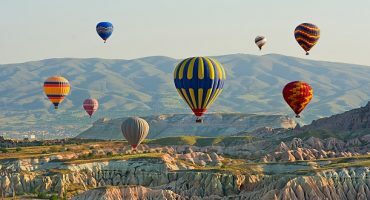 to casual rooftop meeting points, book your cheap flights to London and check out these great places to enjoy panoramic views over the city with a drink in hand. The rooftop at Madison With St Paul’s so close you could almost touch it, the Madison hotel is perfectly places for drinks with a view. Located atop the One New Change, it gets busy after 5pm thanks to the post-work drinks crowd so come during the daytime to sample from the cocktail menu whilst gazing out over historic London. In winter, evening lighting and heaters ensure this is still the place to see and be seen. 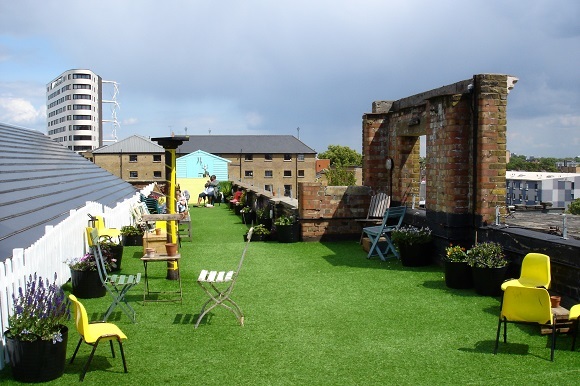 Inspired by New York’s High Line, this green space in Hackney has grown from its beginnings as a group of allotments run by volunteers into one of the area’s most popular places to grab a drink. 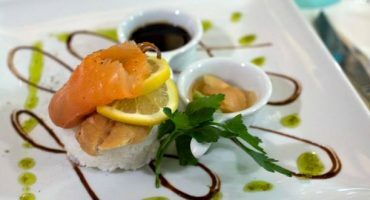 Food comes from pop-up stalls by local start ups and the drinks menu features classic cocktails alongside beers from a local brewery. There’s an entry fee of £3 – check out their events calendar to see what’s on, including yoga on the roof and open air movie screenings! Perched on top of a multi story carpark in Peckham, this popular pop up bar showcases pieces from international artists and offers an affordable menu of deliciously refreshing drinks such as Aperol Spritz and anything containing Campari. You’ll find London locals enjoying the skyline views; arrive early evening to be sure of a securing a space. Boasting 360 degree views across London, this 12th floor terrace has both outdoor and indoor space – perfect for those chillier winter evenings! Arrive early and check out landmarks like Tower Bridge, The Shard and the River Thames whilst sipping on a cocktail or an ice cold beer. 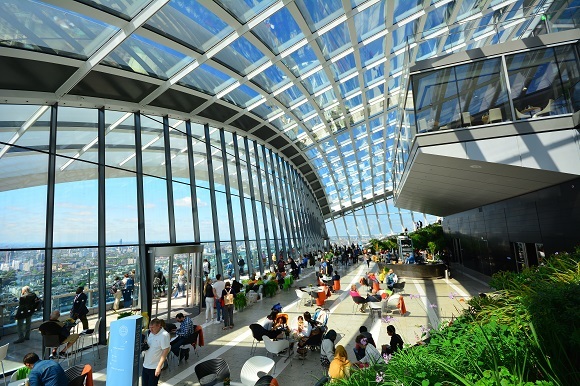 Standing at 155m above the city, this awesome glass dome offers breathtaking 360 degree panoramic views of London. Three stories of landscaped gardens, observation decks and an open air terrace await in the city’s highest public garden. Wander among leafy green plants and a colorful natural landscape before settling in for a drink at either the City Garden Bar or the Sky Pod Bar. The garden is open to the public and entry is free, but you’ll need to pre-apply for a ticket. See their website for more details. 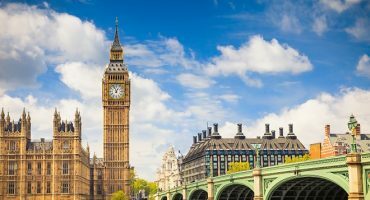 Planning a city break to London? Create a fare alert to keep up to date with the best prices for your trip!